This past week I found out that two of my favorite books are being made into movies. Happy dance! One is a well-loved classic novel that already has a fantastic mini-series version. The other is a 2011 young adult novel that I will write a post about in a few days. Let’s get on to the classic: Anne of Green Gables. The first film version of Anne of Green Gables by Lucy Maud Montgomery was a black and white silent film made in 1919, eleven years after the book was published. Based on my research, it appears that the film was never released. Several other versions followed, including the popular 1985 miniseries Anne of Green Gables and the 1987 sequel Anne of Avonlea. This version was widely praised, and I believe the talented cast was a large part of the film’s success. Megan Follows was the perfect choice for plucky orphan Anne Shirley, and I feel sorry for anyone who has to play the part after her. She seemed to understand who Anne is: tough yet dreamy, romantic yet feminist, and sometimes difficult but desperately wanting to do better and be better. Colleen Dewhurst and Richard Farnsworth were excellent as Marilla and Matthew Cuthbert, the elderly siblings who are quite surprised when the orphanage sends Anne to them instead of a boy. The scenes between Marilla, Matthew and Anne provide many of the most poignant moments in the series, and I admit that I cried through many of them. Anne’s “bosom friendship” with her “kindred spirit” Diana Barry and her love/hate relationship with Gilbert Blythe were also depicted beautifully in this film. Gilbert became one of my serious book crushes…sigh. I’m not sure how many times I’ve seen Anne of Green Gables and Anne of Avonlea (because when you watch one, you have to stay up all night watching the other), but talking about them is making me want to order the DVDs immediately. How do I not own these already?? When you love a book and its movie version this hard, it’s difficult to imagine the necessity for a reboot. And yet I’m looking forward to the Netflix version, an eight episode series titled Anne that is currently being filmed in Canada. It will air some time in 2017. There are reasons to be both optimistic and concerned about the remake. One reassuring detail is that they have assembled a talented all-female team for the writing, producing and directing. The writer is Moira Walley-Beckett who worked on Breaking Bad. I can’t imagine a series more different from Anne of Green Gables than Breaking Bad, but I also know that great writers can do different genres well. I’m pretty sure Anne won’t be mixing up meth on P.E.I. According to information released from the filmmakers, there will be new plot lines that address contemporary issues of bullying, prejudice and identity. Hmmm. This makes me anxious. There is plenty of action to include from the novel itself so it worries me that they feel the need to add new scenes in an attempt to modernize the story. I’m not a fan of messing with classics unless you’re going completely over the top, like adding zombies or sea serpents. When the Keira Knightly version of Pride and Prejudice concluded with kissing and invented dialogue, it really got my petticoats in a wad. 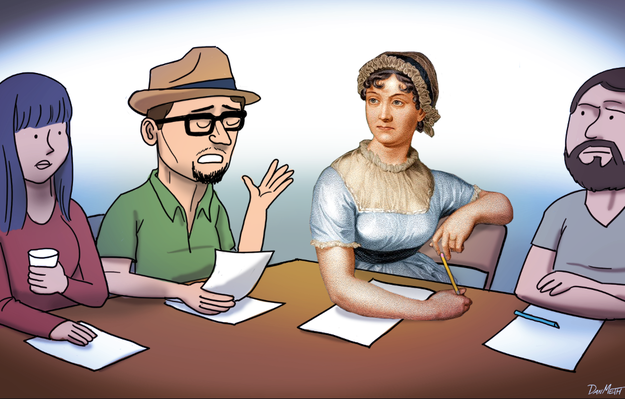 You’re going to improve on Jane Austen’s dialogue?? You cheapen the moments between Darcy and Elizabeth just to make the ending sexier?!? I don’t think so, bub! I will watch the Netflix version of Anne, and then I’ll retreat to the ’85 miniseries if they don’t get it right. It will be fun to see Carrots and Gil on screen again. They better not cut out the scene where she breaks the slate over his head. I think Anne would appreciate filmmakers who are willing to take a risk on a remake though, don’t you?